The Cherbourg reclaimed traditional oak living room and dining room furniture ranges are hand-crafted using 100% solid, high-grade oak. Every piece within the Cherbourg rustic oak range is carefully made with dovetailed drawers and comes complete with solid oak drawer bases and cabinet backs. 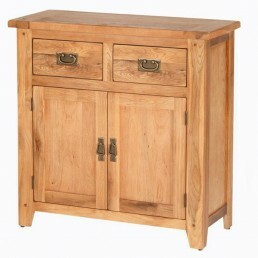 This traditional oak furniture range offers a unique and beautiful blend of classical, rustic styling, a crisp, clean finish and substantial build quality, meaning every piece within this chic solid oak range will last a lifetime. Buy online - UK stock - Quick Delivery. 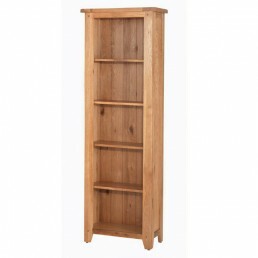 Cherbourg oak tall slim bookcase. This furniture piece is hand-crafted using 100% solid, high-gra.. 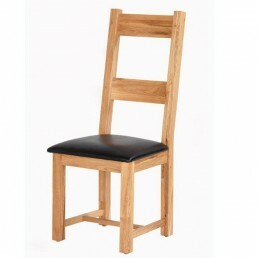 Dining chair with dark brown bi-cast leather seat. 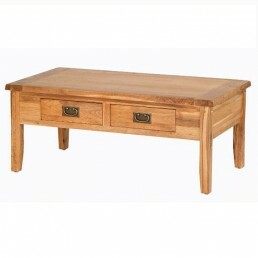 This furniture piece is hand-crafted using 100..
Cherbourg oak small coffee table with drawers. 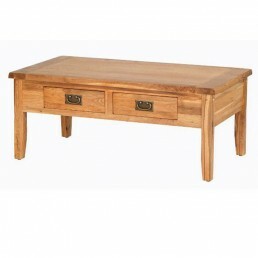 This furniture piece is hand-crafted using 100% so..
Cherbourg oak coffee table with drawers. 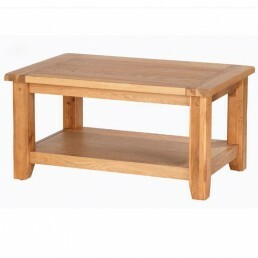 This furniture piece is hand-crafted using 100% solid, h..
Cherbourg oak coffee table with shelf. 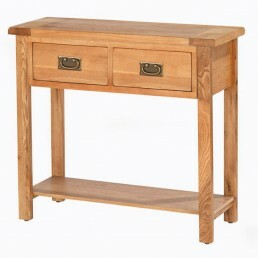 This furniture piece is hand-crafted using 100% solid, hig..
Cherbourg oak console table. 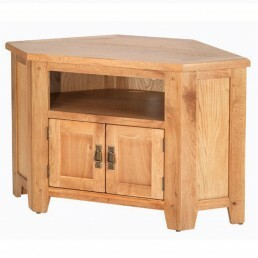 This furniture piece is hand-crafted using 100% solid, high-grade oa..
Cherbourg oak corner TV/DVD cabinet. 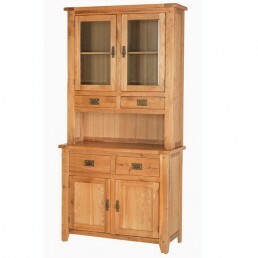 This furniture piece is hand-crafted using 100% solid, high-..
Cherbourg oak small cupboard. 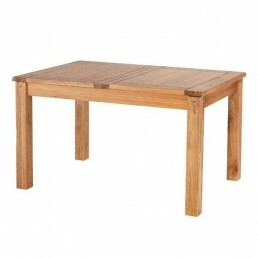 This furniture piece is hand-crafted using 100% solid, high-grade o..
Cherbourg oak extending dining table (2 leaf). 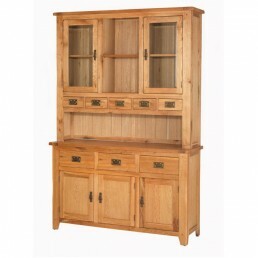 This furniture piece is hand-crafted using 100% so..
Cherbourg oak large dresser. 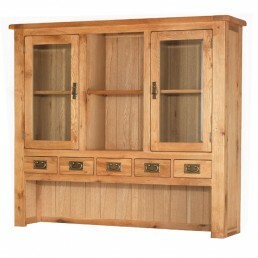 This furniture piece is hand-crafted using 100% solid, high-grade oa..
Cherbourg oak large hutch. 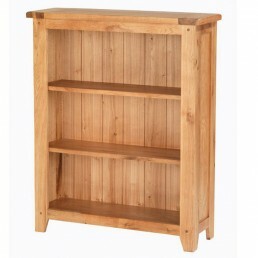 This furniture piece is hand-crafted using 100% solid, high-grade oak ..
Cherbourg oak low bookcase. 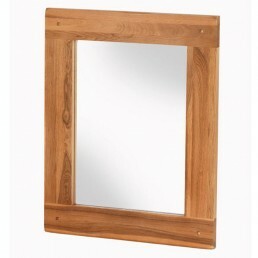 This furniture piece is hand-crafted using 100% solid, high-grade oak..
Cherbourg oak mirror. 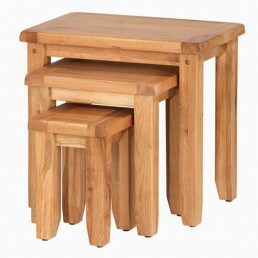 This furniture piece is hand-crafted using 100% solid, high-grade oak and i..
Cherbourg oak nest of 3 tables. 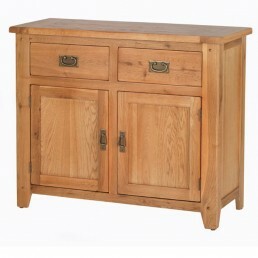 This furniture piece is hand-crafted using 100% solid, high-grade..
Cherbourg oak standard sideboard. 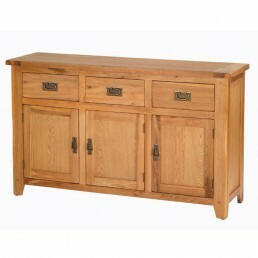 This furniture piece is hand-crafted using 100% solid, high-gra..
Cherbourg oak large sideboard. 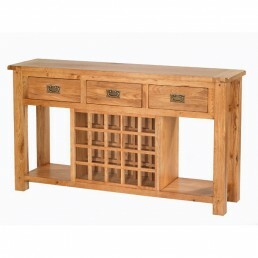 This furniture piece is hand-crafted using 100% solid, high-grade ..
Sideboard with three drawers, two shelves and a wine rack for twenty bottles.This furniture piece..
Cherbourg oak small sideboard. 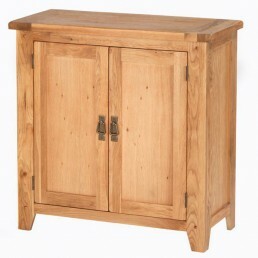 This furniture piece is hand-crafted using 100% solid, high-grade ..
Cherbourg oak small dresser. 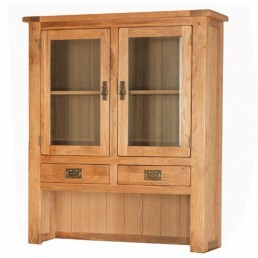 This furniture piece is hand-crafted using 100% solid, high-grade oa..
Cherbourg oak small hutch. 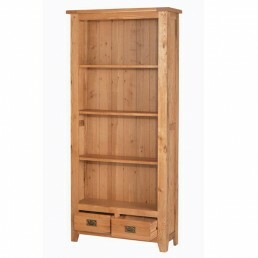 This furniture piece is hand-crafted using 100% solid, high-grade oak ..
Cherbourg oak tall bookcase with drawers. 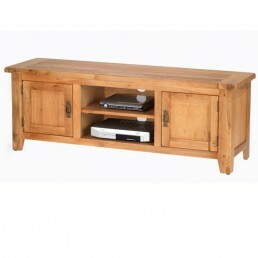 This furniture piece is hand-crafted using 100% solid, ..
Cherbourg Oak Plasma TV/DVD Unit. 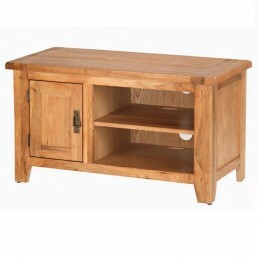 This furniture piece is hand-crafted using 100% solid, high-gra..
Cherbourg oak TV/DVD cabinet. This furniture piece is hand-crafted using 100% solid, high-grade o..